Setting off fireworks has become an increasingly popular activity for Americans, especially around holidays such as the 4th of July. The Consumer Product Safety Commission (CPSC) reports that the sale of imported fireworks has increased an estimated 700 percent in the past few decades. The sale of consumer fireworks is legal in Pennsylvania, and residents often purchase such allowed fireworks as mortars, shells, tube devices, rockets, Roman candles, sparklers, smaller firecrackers, and other novelty items. Unfortunately, just because the sale of fireworks is legal in Pennsylvania does not mean that all fireworks sold are safe. Some fireworks are defective and can misfire, severely injuring people simply trying to have a good time. The National Fire Protection Association even goes so far as to say that no fireworks are safe, even if they are not defective, since the risk of injury is so high. When you add in possible defects or human error, risks of accidents and injuries are even higher. If you have been injured in a fireworks accident due to the negligence of another party, you should always contact an experienced personal injury lawyer who has experience with fireworks accident cases. Accidents involving fireworks can cause permanent disabilities, and some burns are so severe that victims may require painful skin grafts, surgeries, or may even lose a limb. Additionally, many fireworks can cause disfigurement to the face or other body parts. Victims of fireworks accidents often require emergency medical attention or even extended stays in the hospital, surgeries, and long-term rehabilitative therapy. Many victims must miss work while they recover, and some may never return to work again. This means they may lose significant income and benefits on top of facing overwhelming medical bills. If a manufacturer sells defective fireworks, that company should be held responsible for any accidents and injuries that result from the defect. Additionally, if a person is using fireworks in a negligent or dangerous manner, that person should also be liable for any resulting injuries and losses. An experienced fireworks accident lawyer knows how to demonstrate negligence in a fireworks case in order to make sure victims are able to fully recover for all of their financial losses and more. If you or a loved one has suffered injury in an accident involving fireworks, it is highly important that you consult with an experienced personal injury lawyer as soon as possible. An attorney can evaluate whether you have a potential case, what that case may be worth, and who should be held responsible for your injuries and losses. 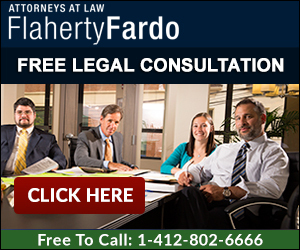 An attorney from the law office of Flaherty Fardo will work to ensure you receive the full amount of compensation that you deserve, so please contact us today at (412) 802-6666 to schedule a free consultation.